If you and your child are tired of the average at-home birthday parties, then consider having a hotel pool party in NY! Kids and adults alike will love attending a kid's hotel party in NY. There's pool fun, delicious food, fun over-night slumber parties, and more - what more could a kid want in a birthday party? Kid-Oriented Amenities at this Hotel in NY! There is nothing more fun for a kid than a hotel birthday party in NY. Book a stay for you, your kid and his/her friends at Affinia Hotels in Manhattan. With a "kid tested, parent approved" package, children under 12 stay for free, and receive some cool kid-friendly perks. There are also numerous kid-friendly amenities offered at this hotel party venue in Manhattan. To add a little bit more fun into the party, look into the American Girl Place package for an American Girl themed party and great offers at the local store. 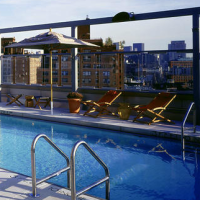 Throw your Kid a Roof-Top Hotel Pool Party in NY! You, your child and guests can live like a Kardashian at this hotel party location in NY, the Gansevoort. Spend the party relaxing all day at the rooftop pool with a lifeguard on duty. Throw your kid the party of a lifetime and host a fun-filled hotel party in NY at this beautiful hotel. The Gansevoort also has kid-friendly accommodations, including free baby amenities, a room-service kid's menu with standard kiddie foods such as chicken fingers, PB&J, cookies and milk, and more, and free Nintendo Wii video game systems. 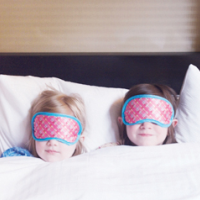 Your kids will absolutely love this NY hotel party! Near Yankees Stadium & Bronx Zoo in NY! For baseball fans and zoo-lovers alike, the Days Inn Bronx is the perfect spot to hold a kid's hotel party in NY! Located less than one mile from Yankee Stadium, and three miles from the Bronx Zoo, your child and friends will have an unforgettable time at this hotel party venue in NY! 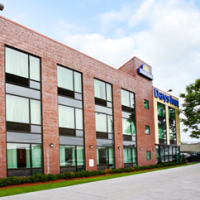 Apart from the awesome local attractions, the Days Inn Bronx has many kid-friendly accommodations that will make your kid's hotel birthday party memorable and fun! Hotel Fun for Everyone in NY! Look no further for a fun and kid-friendly location to hold your kid's hotel party in NY. 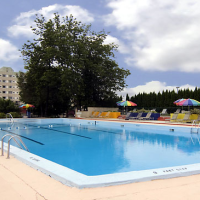 LaGuardia Plaza Hotel has everything you could ever want in a party location - great amenities, kid-friendly accommodations, and fun local attractions. 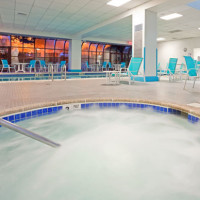 With a pool and jacuzzi inside the hotel, LaGuardia Plaza is great for both kids and adults! Fun local attractions include Yankees Stadium, the Empire State Building, the Statue of Liberty, and more. Your kid and guests will have the time of their lives at this hotel party in NY! 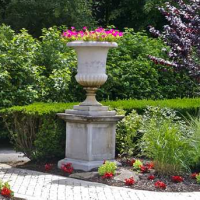 Fun Local Attractions & Outdoor Gardens in NY! Putting a smile on your kid's face for his/her birthday party will be a breeze if you have it at the Hilton Garden Inn. Having a hotel pool party in NY is a great idea for a kid's birthday party, and it can be made a reality with this wonderful kid-friendly hotel. Your kid and guests will enjoy swimming in the pool all day and hanging out in the outdoor gardens. Local kiddy attractions include the Staten Island Zoo, the Willowbrook Park and Carousel, and the Staten Island Children's Museum. Kids and adults alike will have a blast! Picturesque Mountain Surroundings in NY! Surrounded by beautiful Upstate landscapes and the Shawangunk and Catskill Mountains, Hudson Valley Resort & Spa is an idea spot for holding a kid's hotel pool party in NY. Not only will your kid and guests have a great time swimming in both the outdoor and indoor pools, but the adults can enjoy a spa and golf course too! Fun for the whole family, Hudson Valley Resort & Spa is a beautiful and fun hotel that is sure to make your kid smile from cheek to cheek on his/her birthday.